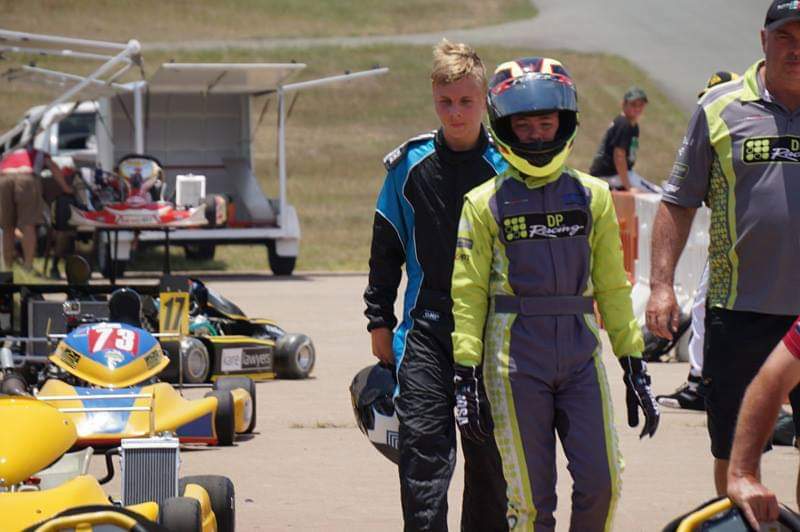 It was super hot but the young drivers kept their cool all day long. After the initial brief of the days agenda and what machinery we will be testing today we were into it. First up was the one on one clutching session with QSC members on hand to talk and walk the future racing stars through the technique, it took a little while but we patiently got through this session. It's now mid-day and it's time for lunch, the drivers are engaged in the session so they are actively seeking out the QSC members to discuss some finer points on the driving skills required. A great BBQ and some refreshing water melon with lots of water on hand and we're ready to move onto up & down shifting of the gears. Set up with the cones again the drivers learn how to use the 1-2 shift without the need of the clutch, this is something the younger drivers took to very easily. As I start to get pestered for access to the kart track by the drivers, I realise to be a good indicator of moving on to the next session. 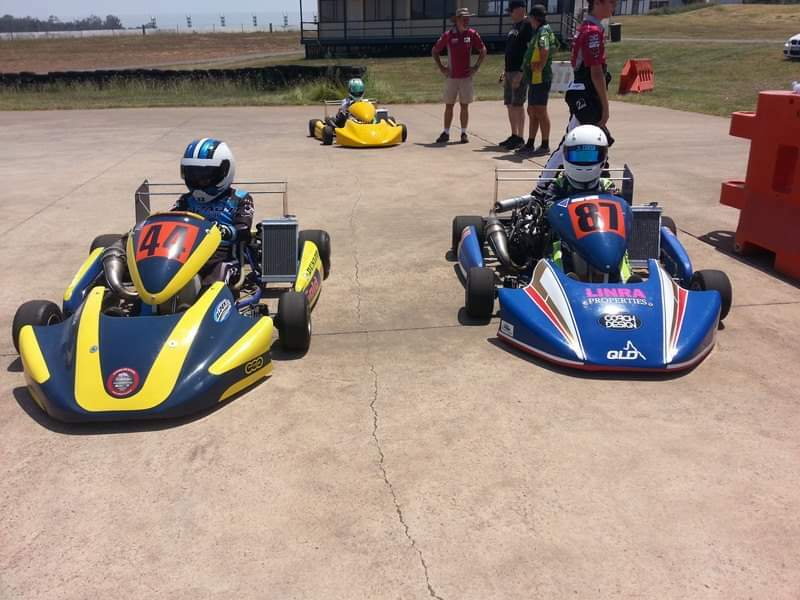 Current JSK driver Bayley Douglas is on hand to provide parade laps around the kart circuit whilst building speed with confidence for the new drivers, reaching 3rd gear whilst also experiencing the acceleration of the kart. The response from the drivers was exciting and contagious to say the least. Well it's heading into the afternoon now, so the QLD Raceways staff set up the legendary Lakeside Park raceways. The QSC members piled the drivers into their cars for a track inspection stopping at the "Kink, Karaussel, Hungry, Eastern Loop and then with the main straight run. This is it, an amazing experience in Formula racing that is so unique, with Bayley once again leading the parade laps he controlled the pace with incremental increases where the drivers reached a respectful 146kph utilising all 6 gears. We could see their eyes wide open and wide smiles from behind their visors as they passed by. When asked how the day went the drivers could only describe it by saying "awesome!" When we asked the parents, the reply was that they couldn't believe the affordability of the class, reliability of the equipment, the social goodwill of the club and the opportunity to race full scale circuits. One parent commented on the Formula JSK control Dunlop DFM tyres, that after all day testing and driving they still look new whilst still providing great grip. If taking up memberships is anything to go by then it was a success as I have requests for membership forms and QSC member and 85cc God Father Drene Jamieson is in discussions on kart sales. 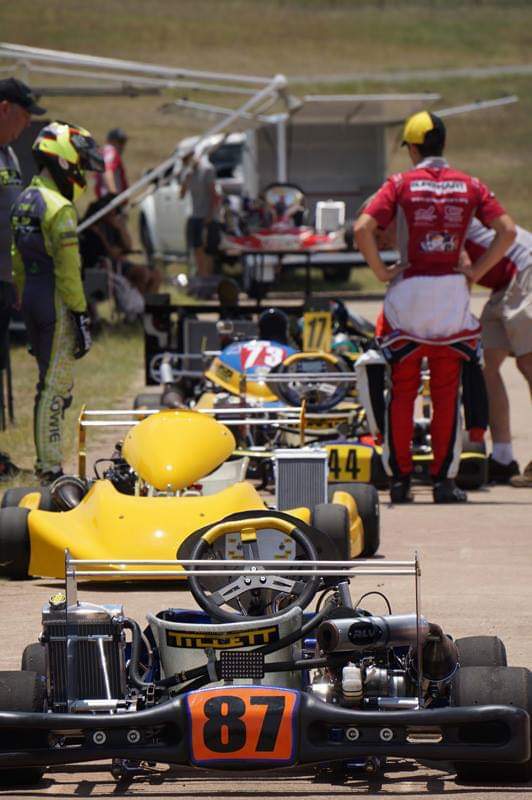 It's this level of corporate commitment we have for Formula JSK that will ensure its future and sustainability for Superkarting in general as young drivers progress through the ranks over the coming years.